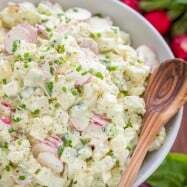 Truly the best Egg Salad Recipe you are going to try with minimal ingredients and so quick to make. 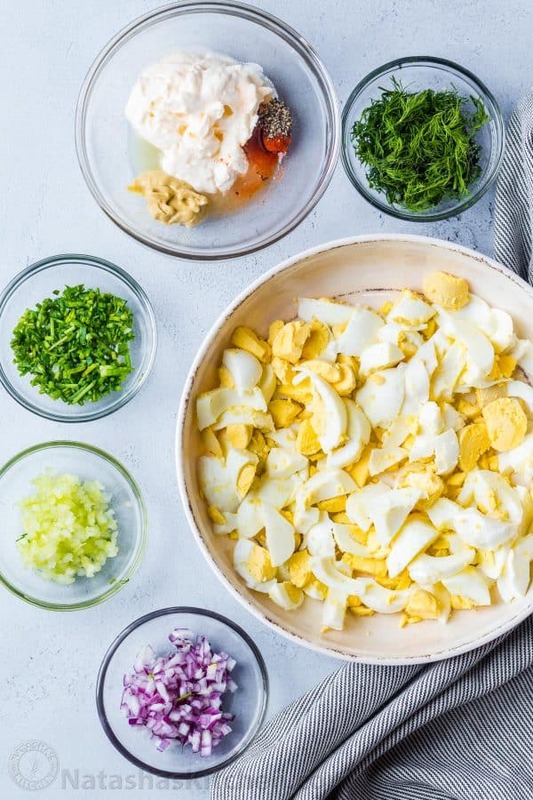 Hard-boiled eggs with celery, dill, seasoning and chives in a creamy garlic Dijon mayo dressing make up this classic egg salad. Add this to your Easter menu! Eggs are are a healthy, high quality protein. 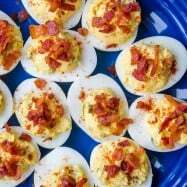 We love recipes where eggs are the star ingredient like these incredible Deviled Eggs with Bacon and Egg Muffins. Hey, hey! 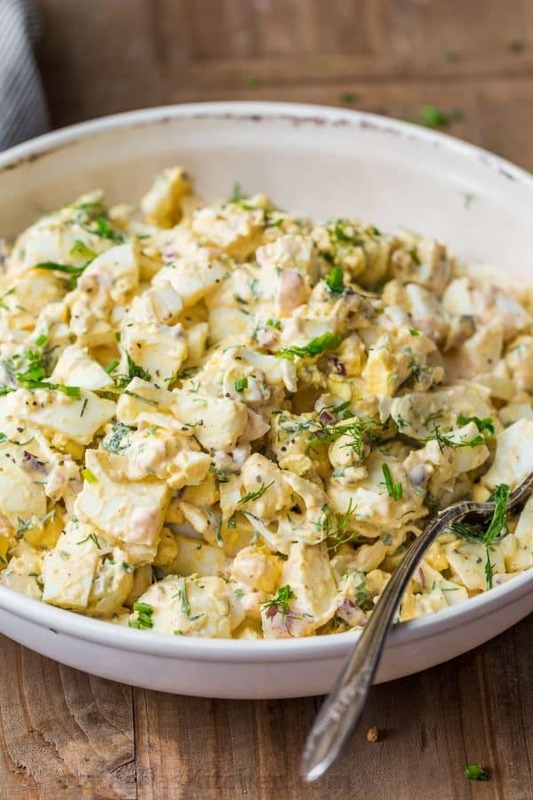 Valentina with Valentina’s Corner sharing an Egg Salad Recipe. 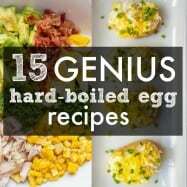 This is easiest egg salad recipe and the perfect way to use up leftover hard-boiled eggs. 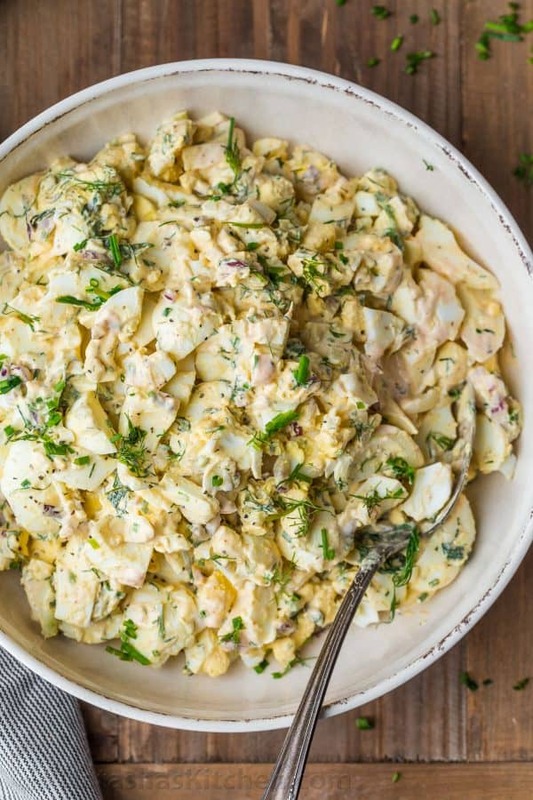 Eggs with herbs, celery and crisp onion in the creamiest dressing makes for one amazing salad. 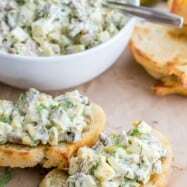 Egg salad can be served in so many different ways – as a side salad, on toast, etc (see more ideas below). 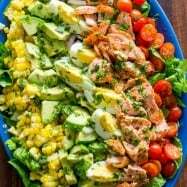 Adding hard boiled eggs is a great way to pack more protein into Potato Salad, a Pasta Chicken Caesar Salad or Salmon Cobb Salad. This classic salad is simple and just as satisfying, but so much faster to make! What Goes Into an Egg Salad? Protein- such as bacon, chicken or shrimp. Veggies- tomatoes, cucumbers or carrots are great options. Avocado- can either be cubed and added to the salad or blended with the dressing. TIP: If you will be adding other ingredients to the salad, prepare a larger portion of the dressing. Making a salad doesn’t get easier than this homemade egg salad. Just be sure your eggs have cooled completely before preparing the salad or make them ahead and refrigerate until ready to use. Mix salad well to combine and enjoy! Eggs are the least expensive high quality protein. They are nutrient dense and will keep you feeling good throughout the day. Egg yolks are rich in choline which is important for brain and liver health. Eggs also contain lutein which benefits eye health. They also have zero carbs and no sugar. 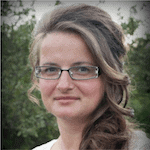 Read more below on free-range egg nutrition. The dressing in any salad can really make or break a recipe. This awesome creamy dressing adds so much flavor to the simple salad. Eggs never tasted so good! In a bowl, add the mayonnaise, Dijon mustard, paprika, garlic, lemon juice, salt and pepper. Mix until the dressing is creamy and ingredients are well incorporated. Egg Salad Sandwich- Serve the egg salad as a sandwich between bread slices, as an open-faced sandwich or even in stuffed in a wrap or pita. 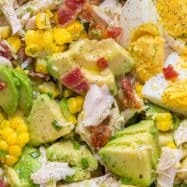 Avocado Egg Salad- Load the egg salad onto a halved avocado. Lettuce wrap- Add the egg salad to lettuce or Romaine and enjoy as lettuce wraps. Breakfast sandwich- Load salad onto toast for an easy breakfast sandwich, perfect. Free range eggs are also 98% less likely to carry salmonella since they are surrounded by better conditions, which is reason enough to buy free-range eggs. 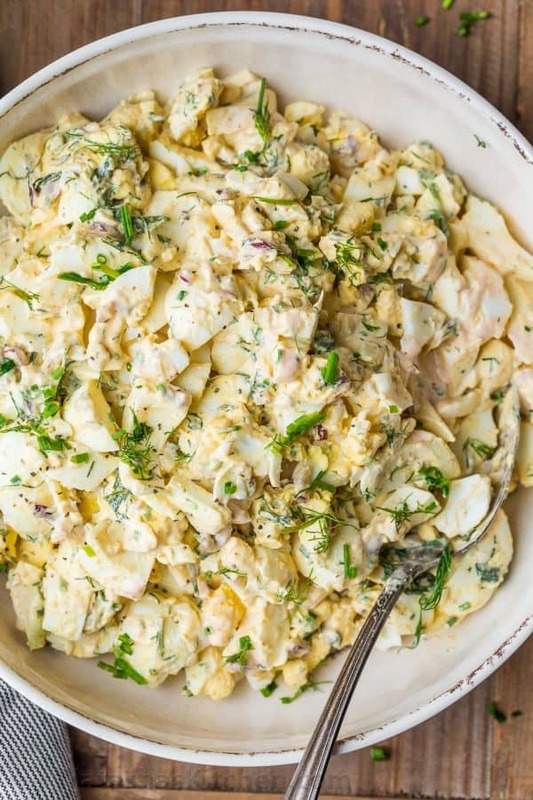 I can’t wait for you to try this easy Egg Salad Recipe. Once you try it, you are going to make it over and over again! The easiest Egg Salad Recipe. 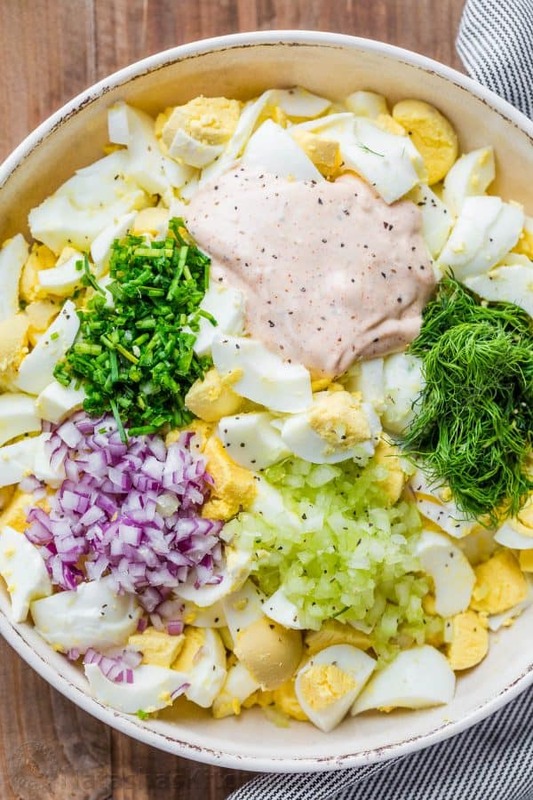 Hard-boiled eggs with chives, dill, celery and onion in the creamiest Dijon mayonnaise dressing. Cook eggs and cool. Once cooled, peel and chop eggs (we like ours chunky) and place into a salad bowl. Add finely chopped celery, red onion, dill and chives. 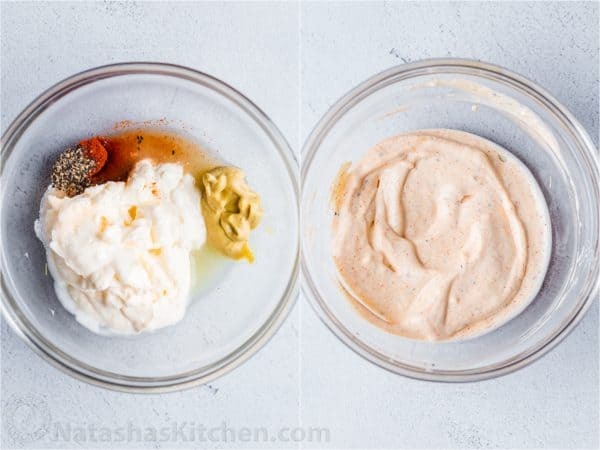 In a separate bowl, combine ingredients for the dressing. Gently stir dressing into the egg salad until coated and serve. 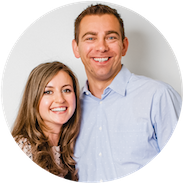 *Egg nutrition information sourced from Healthline, Dr. Axe and The Incredible Egg. Egg salad is such a staple here in the South and this recipe is one that I’ll definitely have to try! I find your claims of the difference between free range and caged eggs rather amazing.